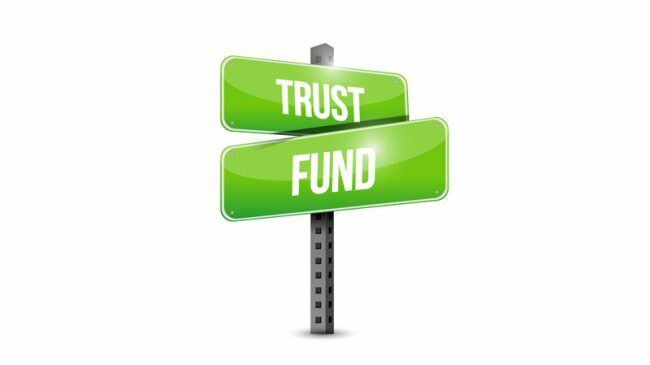 Is “repatriation” the fix for Highway Trust Fund? Is Repatriation the Solution to Highway Trust Fund Shortfall? The hottest idea for making up for what the Congressional Budget Office projects as a $78 billion shortfall in Highway Trust Fund revenues over the next six years is “repatriation” of U.S. corporate profits held overseas. At least three specific proposals have been offered along these lines: the Administration’s GROW AMERICA Act, a new version of Rep. John Delaney’s (D, MD) Partnership to Build America Act, and a bipartisan proposal from Sen. Barbara Boxer (D, CA) and Sen. Rand Paul (R, KY). All three proposals would provide a tax rate much lower than the official 35% corporate income tax rate for corporate earnings held overseas: 14% in the Administration’s version, 8.75% in Delaney’s, and 6.5% in Boxer/Paul. Another key difference is that the Administration and Delaney proposals are both mandatory-the taxes would be deemed due and payable. By contrast, the Boxer/Paul plan is voluntary (as was Delaney’s previous proposal). After looking into each proposal in detail, I cannot support any of them. I was cautiously supportive of Delaney’s original idea to use repatriated corporate tax revenue to jump-start an infrastructure fund (a kind of TIFIA on steroids), because I assumed that the projects receiving loans from such a fund would be paid for by some form of user charges as the revenue stream to service the debt. Bailing out the Trust Fund for six years is an entirely different matter. There is great virtue in the original concept of users-pay/users-benefit. 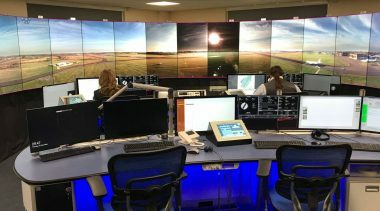 It’s the model we use for electricity, natural gas, water, telecommunications, airports, and just about any other utility-type service that requires significant infrastructure. The original state gas taxes (dating back to 1919) and the 1956 dedicated federal fuel taxes were all intended as user fees to provide and maintain the infrastructure used by those paying the charges. While that concept has eroded over the decades, sound transportation policy would call for restoring it rather than further diluting it. 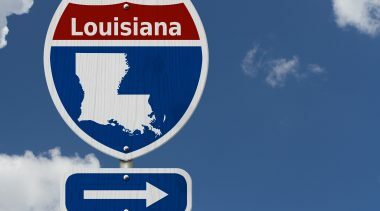 Per-mile tolling and other forms of mileage-based user fees are therefore the direction this country should be moving toward, to gradually replace per-gallon taxes. Using yet another general (non-user) revenue source to bail out the HTF is a large step in the wrong direction. Moreover, all three of these proposals admittedly only provide a one-time, six-year fix for the Trust Fund. Especially foolhardy is the Administration’s proposal to double DOT spending for the next six years-after which the budget would be cut in half, with no permanent solution on offer. Delaney’s new Infrastructure and Global Tax Competitiveness Act calls for a national commission “to propose a solution for permanent [HTF] solvency.” But we already tried that last decade, with both the National Surface Transportation Policy & Revenue Commission and the National Surface Transportation Infrastructure Financing Commission, neither of whose recommendations have been implemented. While we do need to invest more in transportation infrastructure, we need to set priorities to ensure that only projects with high benefit/cost ratios get built. The current federal program structure does not begin to do that, but toll financing does, because you cannot sell the bonds without a making serious case that the project’s benefits exceed its costs. We also need to begin the painful but necessary process of sorting out what are properly federal, state, and local government responsibilities. In the near term, that will mean prioritizing federal transportation spending to be consistent with available HTF user revenues, by reducing and eliminating functions and programs that are properly state or local responsibilities. In parallel, Congress can give state and local governments more tools, such as increased tolling flexibility and a much larger cap on Private Activity Bonds for highway infrastructure. Those transformative changes would put U.S. transportation infrastructure on the road to a sustainable future. Most discussions of the pros and cons of P3 concessions cite as benefits the availability of investment from new sources (e.g., pension funds and developer equity), shifting various risks (such as construction cost overruns) from taxpayers to investors, and ensuring proper maintenance over the life of the project, thanks to the long concession term. In addition to those benefits, I have long maintained that if and as we transition major highways from purely public sector endeavors to something closer to customer-serving businesses, we will also see significant innovations in design and operation. 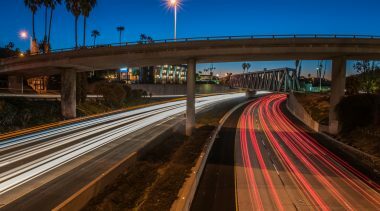 We did see the first U.S. express toll lanes P3 (the 91 Express Lanes in California) innovate by-for the first time ever-using transponders to eliminate toll booths and to charge variable prices to manage traffic flow. And another innovation was the Fluor/Transurban unsolicited proposal to develop express toll lanes instead of Virginia DOT’s un-financeable plan to add four HOV lanes to the Capital Beltway, at about 40% lower cost. But I have just read a new paper that documents nearly $2 billion worth of cost savings on three express toll lanes projects in the Dallas/Fort Worth metro area. The paper is “Innovation Capture through the Alternative Technical Concept Process in PPPs in Texas: A Tool for Financial Viability,” by Fidel Saenz de Ormijana and Nicolas Rubio. It will be presented at the ICPPP2015 conference at UT Austin in May (see Upcoming Transportation Events, below). Texas DOT has been gradually increasing the extent of design flexibility it gives project developers, via two methods. One is to encourage P3 developers to submit “alternative technical concepts” (ATCs) as part of their proposals in response to an RFP. The other is to encourage potential developers to present innovative ideas during the industry review meetings that precede issuance of the RFP. In the latter case, those ideas may be included in the RFP as options for all potential bidders to consider. The largest cost savings discussed in the paper concern the LBJ (I-635) project in Dallas, where TxDOT’s conceptual design called for the express lanes to be constructed in a new tunnel beneath the existing general-purpose lanes, due to severe right of way constraints. During design review, the authors’ companies (Ferrovial and Cintra) suggested the alternative of a depressed center section for the express lanes, with the rebuilt general-purpose lanes partly cantilevered over the express lanes. This was presented in the RFP as an option, and the authors’ consortium’s bid that used this approach came in at substantially lower cost, contributing a large fraction of the resulting $1.3 billion construction cost savings. The other cases described in the paper deal with several phases of the North Tarrant Express project in Fort Worth. In these cases, the developer-proposed changes were of two types. Some were changes in the design and placement of lanes and ramps, to provide better traffic flow (and generate more toll revenue). Others were changes in phasing, so as not to incur premature construction costs for lanes needed only in the ultimate configuration (10 to 20 years in the future), while designing now to facilitate their later addition within the long term of the concession agreement. These changes saved $480 million in NTE 1 and 2W and another $150 million in NTE 35W. In effect, by looking at the LBJ and NTE projects as businesses, the team was strongly motivated to come up with alternative designs and more-careful phasing of improvements to make the projects financially feasible. And to its great credit, Texas DOT was willing to accept many of those changes, resulting in projects that will provide very tangible benefits, without putting taxpayers at risk. The Chaddick Institute for Metropolitan Development last month issued its 2014 report on intercity bus service in the United States, “Adding on Amenities, Broadening the Base.” For the eighth year in a row, intercity bus was the fastest-growing mode for intercity passenger travel. The industry added 2.1% more daily services, compared with a 0.6% increase in Amtrak operations and a 3.5% decrease in airline flights. The intercity bus industry does not release annual passenger numbers, but the Institute conservatively estimates this as 90-100 million. By contrast, the Amtrak website reports serving 31.6 million passengers in its FY 2013. The report and the Institute’s Intercity Bus Database provide details on both traditional carriers (Greyhound, Trailways, etc.) and the new breed of city-to-city express carriers such as Megabus, Coach USA, Bolt Bus, Red Coach, and many others. Neither the report nor the database includes “Chinatown buses” and other informal operators. In addition to services to more cities by Megabus, Red Coach, and other express carriers in 2014, at least two new luxury operators began service. Vonlane began first-class nonstop service between Austin and Dallas and Houston. Their buses have only 16 seats, an onboard attendant serving drinks and snacks, and a private six-seat boardroom. Vonlane partners with hotels in each of its cities. Royal Sprinter launched luxury travel in the Northeast, with its initial route between Washington, DC and New York. Its somewhat smaller coaches have only eight seats, satellite TV, as well as snacks and drinks. Red Coach and Megabus have also begun first class services. Another 2014 development was the launch of bus travel-booking aggregator websites such as Wanderu and Busbud. Like air-travel websites, they allow customers to comparison shop and then book their trips. Wanderu is U.S.-only, but Busbud is global, offering over a million weekly departures from 1,500 bus companies in 89 countries. It offers a choice of 11 languages and 21 currencies. There is far more in this report than I have space to cover here. I hope the Chaddick Institute’s great work documenting the growth of this fast-growing travel mode leads federal and state policymakers to take intercity bus service more seriously when they look at the need for “choices” in intercity passenger travel. Amtrak costs federal taxpayers several billion dollars a year, and serves a bit over 500 cities. By contrast, the intercity bus industry serves about 2,800 cities and gets no government subsidies. I don’t know if this is happening where you live, but where I live (in Florida) the past year has seen a steady flow of news stories and opinion pieces about the high death toll of pedestrians and cyclists, in contrast to the steady decline of the motor vehicle fatality rate in recent decades. Bicycle and pedestrian organizations cite these statistics to argue that the solution lies in programs like Complete Streets, to add sidewalks and protected bike lanes just about everywhere. But you can’t cost-effectively deal with a problem unless you have data that identifies cause and effect. So I was pleased to come across a just-revised report on this subject, commissioned by Florida DOT and carried out by a team at Florida International University: “Comprehensive Study to Reduce Pedestrian Crashes in Florida.” As noted, it deals only with pedestrian accidents, but illustrates what is likewise needed in order to understand bicycle accidents. The authors report that “one in every five traffic-related fatalities in [Florida] is a pedestrian.” The report analyzes 6,434 car-pedestrian crashes that occurred on state roads (which includes numerous urban arterials) during 2008-2010. About 10% of those (663) resulted in pedestrian fatalities. Sorting the data by age group, they found that those aged 16-25 had the highest rate of pedestrian crashes. Based on police reports, pedestrians were found to be at fault (e.g., stepping in front of a moving vehicle) in over 53% of these accidents, with drivers responsible for 28%. And crashes where pedestrians were at fault were more severe than the driver-at-fault ones. Statewide, the majority of such crashes occurred on urban principal arterials, though rural crashes had a higher fatality rate. When crashes at signalized intersections were studied, there were no significant differences among different types of crosswalks. The researchers also used the data for mixed logit models to look for statistical associations between variables, and the report includes several dozen findings. Using all this information, the authors identified signalized intersections with very high (greater than three standard deviations) pedestrian crash incidence, and came up with some possible remedies, such as prohibiting right turns on red at such locations and trying to get pedestrians to cross only at designated crossing locations at the designated times as indicated by walk signals. They also found that undivided roadways had more pedestrian crashes, due to the absence of raised medians that can provide a safe place to stop if the traffic signal changes and the pedestrian is only half-way across. This kind of analysis is very important if we’re going to be serious about making smart changes to reduce pedestrian and bicycle injuries and fatalities. But there are also causal factors that no roadway features can prevent, such as walking while drunk. NHTSA has reported nationwide that one-third of pedestrians killed while walking have a blood alcohol level of .08, indicating intoxication. When Mother Jones reported this information last month, it came under blistering attack from Streetsblog USA for “blaming drunk people for getting hit by cars.” I guess any data that suggests anyone but car drivers is at fault undercuts the message that we need to rebuild America for pedestrians and cyclists. The Reason Foundation this week is posting a set of one-page recommendations for Congress, each proposing and explaining a policy change that would lead to more effective transportation policy. As the author of two of them (so far), I am providing a brief summary here, and urge you to visit the website (http://reason.org) to view them as they are posted over the next week or so. My first proposal is to require MPOs to compare future congestion levels with the present-day baseline congestion level. This may sound obvious, but in preparing their federally required long-range transportation plans, most MPOs do not do this. They often cite reducing congestion as one of the plan’s goals, and often report how bad congestion is today (the baseline year for their modeling efforts). But you will almost never find out whether congestion in 2035 or 2040 (whatever horizon year they use in the modeling) will be reduced-i.e., less than it is now. If future congestion is addressed at all, what is compared is what congestion would be in that future year under a hypothetical “no-build” scenario, versus what the modeling projects it would be if the full Plan is implemented. It’s not as if the elaborate traffic modeling doesn’t have the data needed to compare congestion under the Plan with congestion today. It’s just that those writing the document voted on by the MPO board disguise the fact that in just about every case, the level of congestion will be worse once the billions have been spent on transportation improvements than it is today. What that means is that a large share of the transportation “investments” are planned for nice-to-have things like a region-wide bicycle network that will do next to nothing to reduce congestion, rather than on replacing bottleneck interchanges, building an express toll lanes network, and providing region-wide express bus service-all of which actually would reduce congestion. Gullible voters/taxpayers are easily misled into thinking that a multi-billion-dollar two-decade transportation plan whose goals include congestion reduction will actually make their streets and expressways less congested. 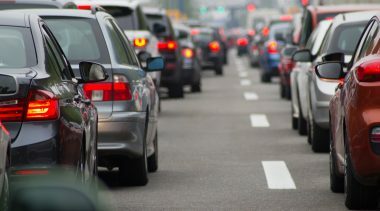 This proposed change in the regulations for long-range transportation plans is intended to make clear to citizens whether or not their plan would actually reduce congestion from the levels that exist today. My second one-pager concerns an obscure federal loan program called RRIF-the Railroad Rehabilitation and Improvement Financing program, created by Congress in 1998 primarily to aid short-line railroads in financing modest improvements. That was also the year Congress created the TIFIA loan program, which I have long supported. TIFIA is prudently managed by the Federal Highway Administration, but more important, Congress built in several taxpayer safeguards for TIFIA loans, none of which apply to RRIF. As created by Congress, RRIF has up to $35 billion worth of loan-making authority, only a small fraction of which has been used thus far. Since the legislation did not specify its applicability only to short-line railroads, Amtrak has taken advantage of it a couple of times, and a California start-up called XpressWest several years ago applied for a $5.5 billion RRIF loan, which was nearly the total estimated cost of its proposed high-speed rail line from Victorville, CA to Las Vegas. That project was vetoed only after a highly critical Reason Foundation study led to the intervention of several members of Congress. TIFIA’s taxpayer safeguards include limiting a TIFIA loan to a fraction of the project budget (originally 33%, but unwisely increased to 49% two years ago by Congress), requiring primary (non-TIFIA) financing to be investment-grade, and requiring documentation of a dedicated revenue stream to pay the debt service on the loan. My brief calls for adding similar taxpayer protections to the RRIF program. The importance of adding these safeguards was highlighted last week when a bipartisan Amtrak bill was introduced in the House. Its section on rebuilding the Northeast Corridor calls for dedicating 40% of RRIF money to this purpose. Maybe I’ve missed something, but without taxpayer safeguards such as a 33% limitation and requiring an investment grade rating on a project’s senior debt, and without a reliable revenue stream to pay back the loans, there is a high probability of these RRIF loans turning into de-facto grants. In the article last issue on Millennials and the suburbs, I included the following sentence: “Arthur C. Nelson of the University of Utah made projections for urban California, suggesting that demand for housing on lots larger than on-eighths of an acre would increase only 16% by 2010.” Prof. Nelson emailed me after seeing this, stating that he made no such prediction and asking that I publish a retraction. 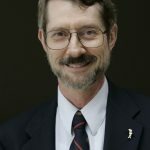 Since I had relied on a secondary source (an Oct. 10, 2014 piece on NewGeography.com by demographer Wendell Cox) rather than directly on Prof. Nelson’s writing, I accept his claim and hereby apologize. The existing (2010) supply of “conventional-lot” (over 1/8 acre) single family homes exceeds the projected demand for such homes in 2035. Stated preference surveys suggest that Californians consider transit options to be far more important in choosing a housing location than people in the rest of the nation. Modest redevelopment of existing non-residential land could be sufficient to accommodate all new jobs created between 2010 and 2035. These trends align with the greenhouse-gas (GHG) reduction goals of California’s SB 375 law, which focuses on smart growth and transit to reduce GHGs by reducing driving. In Table 3.10 (p. 36), Nelson presents his estimates of 2010 housing supply and demand for four major categories: multifamily, townhouse, small-lot single-family, and large-lot single-family (greater than 1/8 acre). In the large-lot category, he compares estimated supply of 4.7 million homes with estimated demand of 1.8 million, with the latter representing only 16.2% of total estimated demand. That is where the 16% figure comes from-but it is not a projected growth rate; it’s an estimate of demand as of 2010. In his NewGeography piece, Cox analyzed Census data, finding that for the same four major California metro areas, 64% of the increase in occupied housing between 2000 and 2010 was in the newer suburbs and exurbs of those metro areas, which are predominantly large-lot single-family markets. Comparing Nelson’s demand estimate in 2010 (only 16% of total metro area demand being for large-lot single family) versus Cox’s finding that 64% of the actual increase in housing in the 10 years ending in 2010 was large-lot suburban is an apples vs. oranges comparison. They are not measuring the same thing. But my point-and Cox’s-was that revealed preference data (what kinds of housing people actually choose) is generally a far more reliable guide than stated preference data (what people tell pollsters). And Cox’s finding casts considerable doubt on Nelson’s claim that as of 2010 there was a vast over-supply of large-lot single-family homes in California metro areas. 56th Annual Transportation Research Forum, March 12-14, 2015, Georgia Tech Hotel & Conference Center, Atlanta, GA (Baruch Feigenbaum speaking). Details at: www.trforum.org/forum/2015. Commuting in America 2013 Completed. AASHTO last month announced that the final installment of the 16-part Commuting in America series has been uploaded to its special TravelTrends website. For the past three decades, Commuting in America was released as a single, detailed print volume, analyzing the most recent Census data on commuting. This time, the report is entirely online, and has been released as each of the chapters was completed. Go to: http://traveltrends.transportation.org/Pages/default.aspx. Growing U.S. P3 Market, says Chadbourne. Law firm Chadbourne & Parke has released a special report, “The Expanding U.S. P3 Market.” It provides a good overview of design/build/finance/operate/maintain (DBFOM) concessions in transportation and other areas, with very brief profiles of a number of recent projects and analysis of trends. Among its findings is that “More major transportation P3s reached financial close in the last three years than in any other comparable stretches of P3 activity.” It can be downloaded from www.chadbourne.com. Look into Geoengineering, Says National Research Council. On February 10th, the National Research Council released a major study arguing that if efforts to reduce emissions of greenhouse gases fall short, as seems quite possible, the world should have back-up plans ready to go. Generally known as geo-engineering, these techniques fall into two categories in the NRC report: ways of removing carbon dioxide from the atmosphere and ways of reflecting more solar energy into space. Because too little is known about the cost or effectiveness of these approaches, the report recommends that a larger share of climate research funding be devoted to geoengineering. The report is Geoengineering Climate: Technical Evaluation and Discussion of Impacts. Detailed Response to P3 Attack. For reasons known only to itself, the generally good magazine Thinking Highways (North American edition) last summer published a pair of feature articles making a wide array of attacks on long-term toll concessions. They reflected right-wing populist and left-wing progressive attacks on pricing, tolling, and P3s, and singled out the exemplary I-495 Express project on the Capital Beltway in northern Virginia for many of its attacks. Fortunately, the magazine accepted a three and a half page response, by Rich Juliano, managing director of the P3 division of ARTBA. His “Setting the Record Straight” is worth reading, even if you didn’t see the articles to which it is responding. It appears in latest issue of Thinking Highways (North America), Vol. 9, No 4. Dire Fiscal Outlook for State and Local Governments. The Government Accountability Office (GAO) in December released an updated report on fiscal trends in state and local government. Between now and 2060, it reported, there will be an increasing gap between revenue and spending, driven by soaring costs of Medicaid, employee and retiree health care, and unfunded pension liabilities. To close the looming gap, state and local governments on average would have to reduce current spending by 18% and then hold spending constant as a share of GDP for decades to come. My Reason colleague Len Gilroy provides more details in a Jan. 26th post: http://reason.org/news/show/gao-state-local-fiscal-outlook. Panama Canal Tolls Going Up. To help pay for the expanded locks that will start accepting ships next year, the Panama Canal Authority has proposed toll increases that will begin in April 2016. As reported by the Journal of Commerce, the new rates “will apply to ships transiting the current locks as well as those going through the new locks.” The Authority is changing the structure of the toll rates and will also introduce a “customer loyalty program” for container lines, analogous to airline frequent-flyer programs. The Panama Canal, like the Suez Canal, has always been self-supporting from toll revenues. Charging tolls could provide the means to revitalize America’s ailing locks and dams on the Inland Waterway System. Trucks Flock to Tolled Tampa Shortcut. The new connector expressway between the Selmon Expressway and I-4 in Tampa was intended, in part, to get trucks from the nearby port off local streets through the historic Ybor City neighborhood by offering them a much faster route to I-4. And that is exactly what is happening. Now a year old, the Connector is handling over 30,000 trips per day, exceeding projections. And despite the modest toll, trucks already account for 9% of the daily traffic. With most of the port trucks using the tolled expressway, work is under way to de-designate the former truck route through Ybor City and make its streets more pedestrian-friendly. FHWA Addendum to P3 Toll Concession Guide. Last month the Federal Highway Administration’s Office of Innovative Program Delivery released for comment an addendum to its model contract for toll concessions. It deals with topics not addressed in the eight chapters of the model contract that OIPD release last year, such as insurance, lenders’ rights, construction performance security, and consumer protections. You can review the draft addendum at: www.fhwa.gov/ipd/p3. $2.5 Billion Toll Concession Project Financed in Australia. Infrastructure Investor reports that the $2.5 billion NorthConnex project in the Sydney metro area has reached financial close. The long-term toll concession will extend the existing 25-mile Westlink M7 ring road by adding twin 5.6 mile tunnels. The tunnels will allow traffic to bypass 21 traffic lights on the existing surface arterials, saving motorists an average of 15 minutes. Primary investors in the project are Transurban and the Canadian Pension Plan Investment Board. Following the construction period, the concession company will operate and maintain the project for 29 years. Oregon Selects Vendors for Road Usage Charge Program. Oregon DOT announced that it has selected Azuga, Sanef, and Verizon for its pioneering Road Usage Charge (RUC) program. Sanef will be the ODOT account manager, while Azuga and Verizon will be competing Commercial Account Managers, who will offer motorists a choice of several methods of reporting miles driven. For example, Verizon will offer its existing In-Drive device that plugs into the vehicle’s on-board diagnostic port, which is currently used by State Farm Insurance to offer auto-insurance discounts. The vendors will begin operational trials in April, with the program going live on July 1st. Orlando Toll Roads Going Cashless. Florida DOT and the local expressway authority are planning to shift to all-electronic tolling for the metro area’s numerous toll roads. 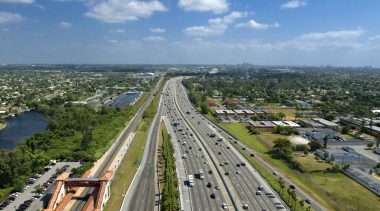 The change has been accelerated due to the start of the massive $2.3 billion project that will reconstruct 21 miles of I-4 through the center of Orlando. Since this project will divert a lot of traffic from I-4 to other expressways, eliminating lines at toll plazas will improve traffic flows. Bus versus Rail in New York Times. The New York Times on Feb. 10th published a thoughtful article called “To Save on Rail Lines, Market the Bus Line.” Among his other points, Josh Barro asks, “What if transit agencies spent just a fraction of what it costs to lay new rails to spruce up the buses and tell riders they are faster than they realize?” He also notes that the highly touted new streetcar in Atlanta is slower than walking. You can read the piece at http://nyti.ms/1M8gmyF. Possible Breakthrough on Brent Spence Bridge. The planned $2.6 billion replacement bridge between Ohio and Kentucky has been on hold for the past year, due to the lack of public-private partnership (P3) legislation in the latter, due to Gov. Steve Beshear’s 2014 veto of a P3 bill that failed to include tolling authority. But last month Beshear and Ohio Gov. John Kasich reached agreement on splitting the project’s cost 50/50 and agreeing on toll discounts for local users. Brashear hopes the agreement (which also aims to find ways of reducing the $2.6 billion price tag) will lead to passage of a revised P3/tolling measure in the Kentucky legislature this year.